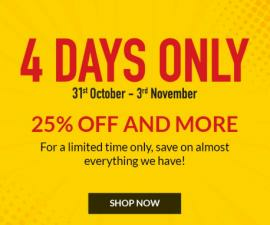 4 days Only. 31st October - 3rd November. 25% Off and more. Babyshop - Life After Summer Sale. 30% to 80% off. September 26th to 30th. Online Exclusive. Babyshop - Weekend Bonanza. 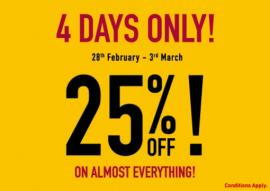 25% Off On Almost Everything! 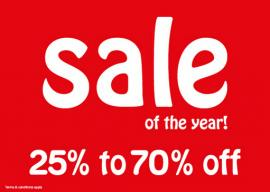 Get amazing discount on your favorite Babyshop products. 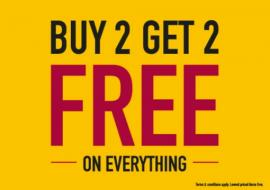 Offer valid only in Sharjah stores. 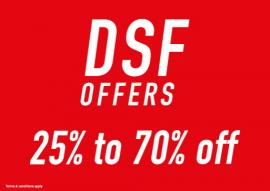 Babyshop - DSF offers. 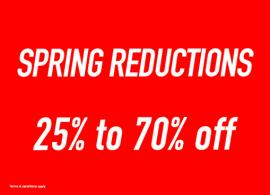 25% to 70% off. Valid in: Dubai stores. 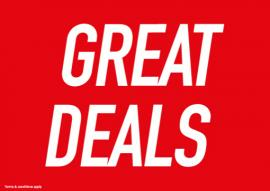 Babyshop - Great Deals. Valid in: All emirates except Sharjah & Dubai. 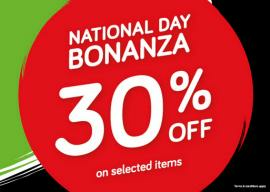 Babyshop - National Day Bonanza. 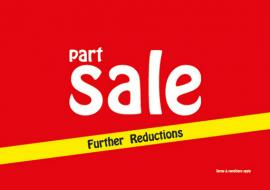 30% Off on selected items. T&C apply. 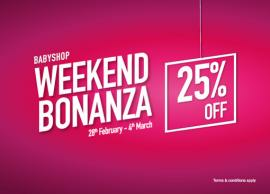 Babyshop Weekend Bonanza. 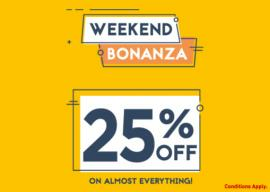 Enjoy 25% OFF. T&C apply. 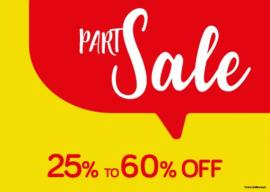 Babyshop - Part Sale 25% to 60% off. T&C apply. 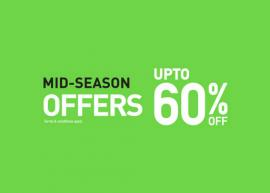 Babyshop - Mid Season Offers Upto 60% off. 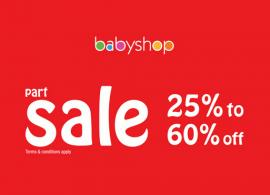 Babyshop - Sale, 25% to 60% off on the best range of Baby Apparel, Kids Fashion, Toys & Nursery Furniture. T&C apply. 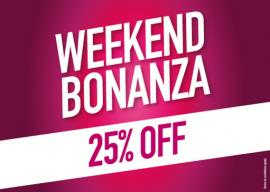 Babyshop - Weekend Bonanza, 25% off. 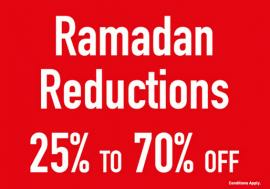 Valid in: Select stores in UAE. The leading baby and child store in the Middle East. Babyshop brings you the best for your little ones, from over 230 family-friendly stores in 19 countries. Founded over 30 years ago with a single store in Bahrain, today, we continue to grow steadily. We know you want the best for your little ones so we’re here to offer you top quality products at fabulous value for your money. Alongside our own well-loved ranges Juniors, Giggles and Eligo, we are proud to stock an unbeatable array of top international brands, including Lee Cooper, Barbie, Disney, Graco, Ferrari, Maclaren, Maui and Sons, Fisher Price and Little Tikes, giving you so much to choose from. Get all information about Babyshop Dubai offers, Babyshop promotions, Babyshop offers in Sharjah, Babyshop offers in Abu Dhabi, Babyshop latest deals and promotions, Shopping Mall offers, fashion offers, baby clothing, Boys Clothing, Girls Clothing, Toys and Babyshop Dubai sale by browsing through TomatoSALE.